Experience the ultimate in player piano technology. Invisibly transform any piano into an iPad-ready, wireless smart home entertainment device. Listen to beautiful piano music anytime you want, produced live at your piano with real moving keys. 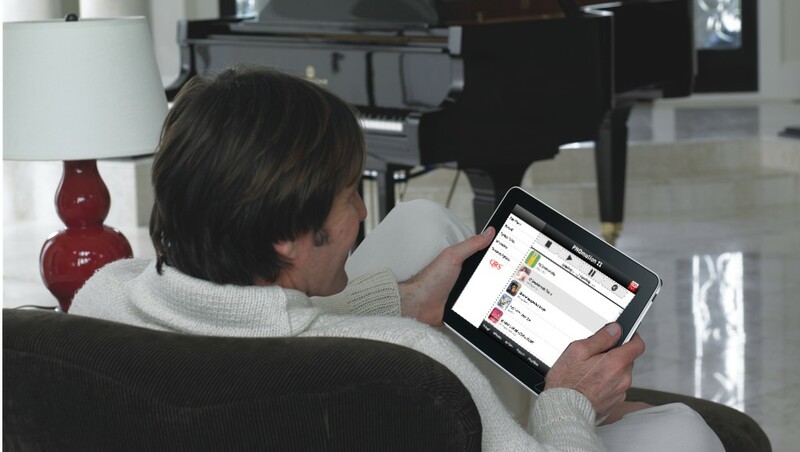 The QRS PNOmation3 player system transforms any piano into an iPad-ready, wireless smart home entertainment device. Listen to beautiful piano music anytime you want, produced live at your piano with real moving keys. An included speaker gives you live vocal and instrumental accompaniment. Love Billy Joel? Listen to your piano playing his own piano parts, with Billy Joel actually singing along! It brings piano ownership to a totally new and engaging level. You're going to love it. Customized bundles to suit your needs. See it in action! Try out the PNOmation3 app now, it works on any smartphone, tablet, or computer. You'll use this app to do it all: Play music, control volume, build playlists, all wirelessly from any device! All of QRS's PNOmation Player Piano Systems are designed to complement the life of your piano. Since you will more than likely own the piano for a long time or want to sell it at a reasonable value you'll want to know that the player inside compliments its life. There are three things to look at in that respect - the components - are they built to tolerances and with materials that can handle the various climates and conditions while being played over a long period of time, the manufacturers history of offering an upgrade path to the latest technology without an expensive replacement, the manufactures history in the business and the music library. QRS's PNOmation is the only system that since its introduction has been offering a migration path to the latest technology. Its use of the finest components allow the customer the confidence to move forward with an upgrade with knowledge that the rest of the system remains solid. 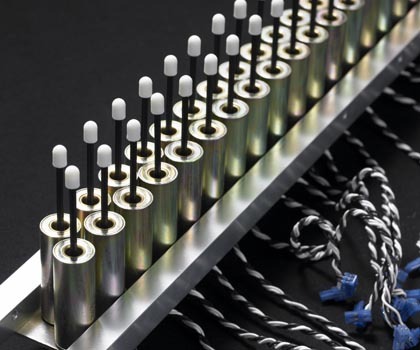 QRS's use of longer fully encased solenoids with Teflon impregnated solenoid plungers delivers much more accurate control over the range of motion. They also resist corrosion and are self-lubricating. A lost motion cap on the bottom insures proper throw, that without can never guarantee you are delivering the dynamic called for. Next is dynamics - a longer plunger and solenoid delivers more accurately the dynamic called out for in the music. This dynamic can be of the new standard HD MIDI or the old MIDI. QRS supports both. Controller technology traditionally has referred to the Box that hangs on the piano where you insert your media. The problem is the only people that love those boxes are the people who design them. After all, who wants a box hanging under their grand piano? QRS has seen the writing on the wall for some time now and completely migrated to an embedded web app system. While our competitors are selling CDs and Floppies or falsely relying on an internet connection to stream music, we have taken the bold step to include all of our content on board. No hiccups in playback, easy to navigate, easy to control all aspects of your player system -with a simple touch screen user interface. No reliance on a network connection to the outside world and instant purchases of your content. Don't be fooled by competitors who also sell Apple products as an interface have the following issues we do not. They force the use of ITunes - so now a PC or Mac is required - your player music is mixed with your regular music - another thing to think about and plan around, the music has to be transmitted from the device (iPad or iPhone) to the piano – it's not on the piano - so you have to be in range - on the same network ... and the stream cannot be interrupted. Then of course you want to be able to control all aspects of your pianos performance - which is simply not doable with the built in media player; we mean all aspects not just a speaker and piano adjustment - from record to solenoid alignments. And last but not least we do not lock you into one brand of product – any Wi-Fi enabled device will control your piano. Really it's that simple. Pin Light Port Extension (PLx) - Status Lights, Ports for USB, Headphones, Mic or Laptop. Your piano plays itself, records your performance, and sends your performance to your laptop, iPad, or any MIDI device! Integration of the PNOscan 3 optical sensor system. Record, Playback, Perform, Save and Practice. PNOcloud auto record, auto save and auto upload feature set. The full playback, recording, and silent practice experience. Key Stop Rail: Silences the acoustic piano sound completely while letting you play normally. Piano Practice Module: High quality sampled piano engine reproduces your performance digitally.